Photographer Patrick Katzman debuted the first volume of Thrash It Don't Stash It on October 4, 2017, on chopcult.com. Since then, Patrick has been feverishly working on his next installment. Thrash It Don't Stash It Volume II is a continuation of the Volume I book. It's the same size, format, and full of the same high-quality photos of over 200 of Europe's best original and customized vintage motorcycles. Events showcased are A-Bombers - Sweden 2015, the Kala Race Track- Norway 2015, the Flanders Chopper Bash - Holland 2016, the KKF/Tower Show - Germany 2016, Linkert Attack - France 2016, and The Trip Out - England 2016. Here is a just a taste of some of the motorcycles showcased in Volume II. “Five years into this project and it has been a long ride. Traveling to events, setting up the background - sometimes in the gusting wind with a head-banging hangover - but it has all been worth it. The quality of bikes being built and ridden in Europe these days is top level and only getting better. Each year, new bikes are coming out of the workshops and garages of top builders and the average Joe down the street. 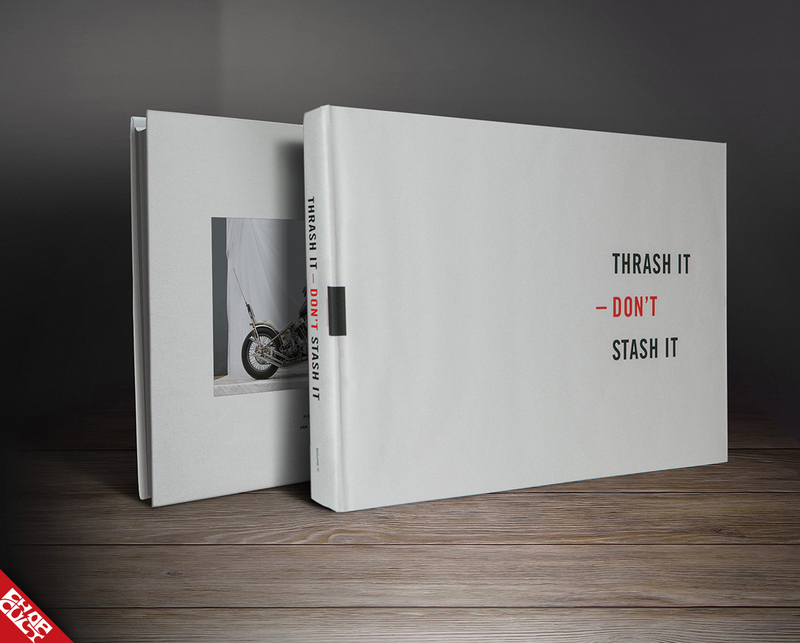 Thrash It Don't Stash It Vol 2 would be the perfect gift for anyone that enjoys motorcycles. Be sure to give Patrick a follow on Facebook, Instagram, and check out his website for high-quality prints and books.